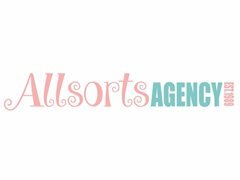 The Allsorts Agency has been established for almost 20 years and we specialise in photographic, commercials, pop videos, TV & Film supplying both actors and models from newborn babies through to senior citizens. Our good reputation has made us one the the most respected agencies for both children and adults alike. Our actors and models have featured in a variety of well known campaigns and projects. We are looking for talent aged 0-100 - Allsorts of children and adults, fun, quirky, outgoing,and different! £40 Upfront Admin Fee + £120 taken out of your first job- no fee taken if a job isn't booked. Allsorts of children and adults, fun, quirky, outgoing,and different!